Horetown House is a unique and stylish wedding venue with lots of options for small weddings. We don’t apply minimum numbers Monday to Thursday any time of year (except between December 20th to January 1st) and we offer weekend dates for small weddings in quieter months such as January, February and March and also November. 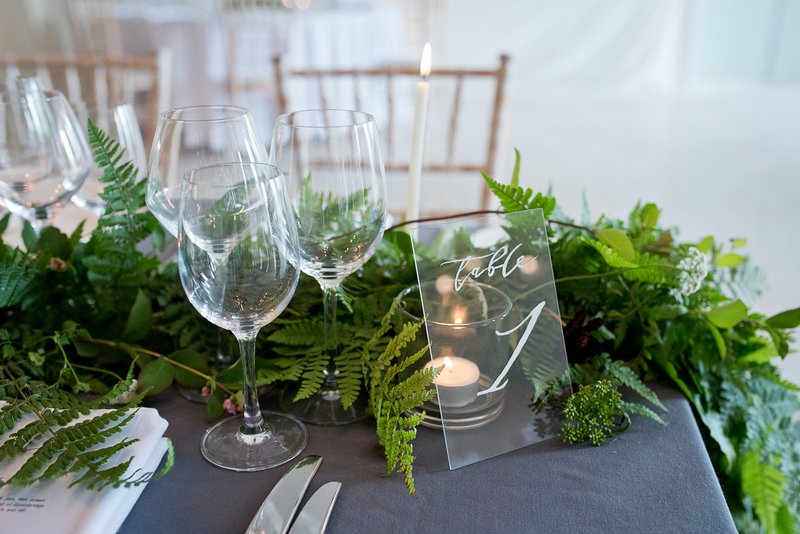 We have two options for dining spaces for weddings with different options in each. 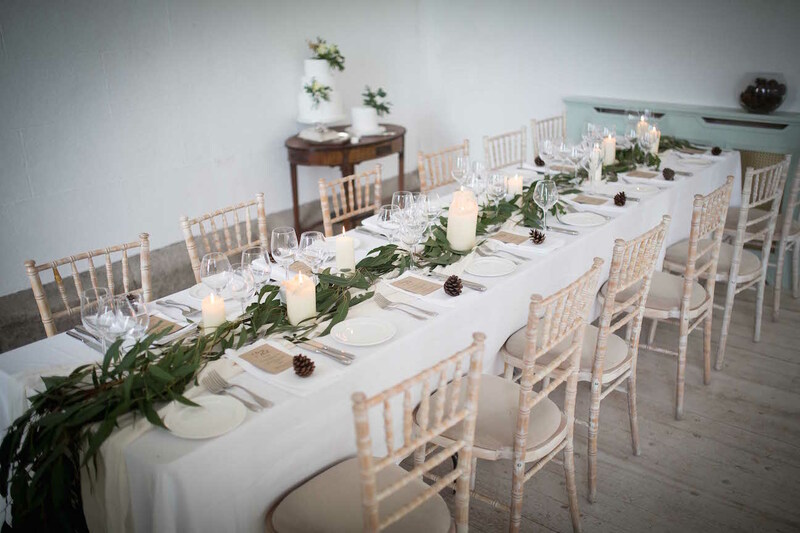 The White Room is a beautiful and elegant space for up to 50 guests with a choice of round or long tables designed to fit your group perfectly. Enjoy your meal and have some speeches or a toast at the table. While there is no dedicated bar in this room our staff will offer bar service at the tables for your guests. After your meal, head down to the 1692 Bar where your band or DJ will be set up, easy to kick off as soon as you move down. 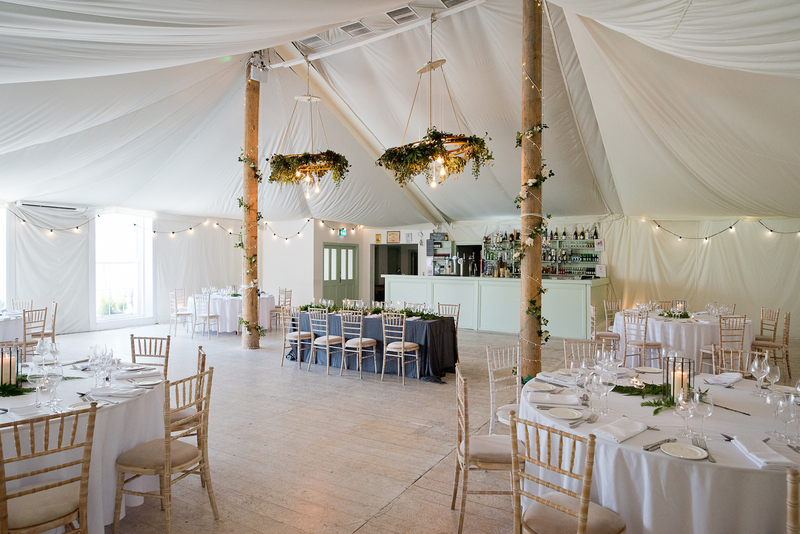 Our Garden room is a pole tent interior and it can host large parties, however with our new linings we can create a smaller more intimate space by closing a whole section off. The new smaller space can make a group of 50 to 100 feel cosy and help to create a great atmosphere for your party. This room has its own bar and is perfect for dancing after dinner. If you would like to talk to us about your ideas for your small wedding we would be delighted to offer any help or advice to make the process as stress free and relaxed as possible. Email graham@horetownhouse.ie for our general info pack and we can set up a meeting to discuss the right option for your small wedding. For more info why not read our recent Blog post How To Plan A Small Wedding.